Release your inner kid with a day of climbing, repelling, and playing in the trees. 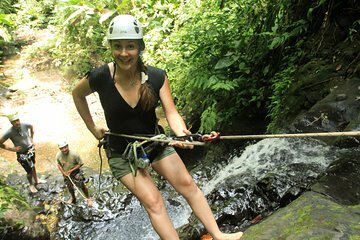 After pickup at your hotel, drive to the operations center where you will hike, swim, swing, glide through the air on a zipline, and rappel down a waterfall. Enjoy one adventure after another as you get up close and personal with Mother Nature.